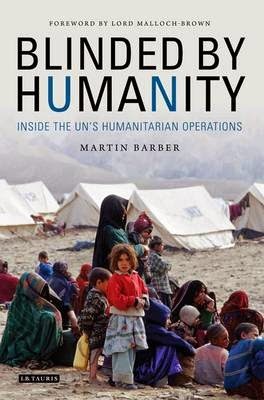 Martin Barber’s Blinded by Humanity: Inside the UN’s Humanitarian Operations is a more conservative – although ‘traditional’ may be a more fitting term – autobiographical account of a senior UN staff member. To be honest, I was a bit worried that the set-up - male, British UN bureaucrat reflects on exciting coordination meetings with Kofi Annan in the room - may not work in this day and age, but his engaging prose and well-edited narrative avoid most of such pitfalls. In fact, when I finished reading the book it left me with a very satisfying feeling that I learned something about the historical scope of what the UN has been achieving for decades that goes beyond the usual critical engagement of how the UN failed in this crises or on that issue. Barber’s main achievement is that he manages to analyze the past of global governance so we younger scholars, students or junior professionals have a sounding board to discuss the present and envision a future between well-paid international civil service and a truly global forum to engage with sustainable development. My review will focus on three themes: First, Barber’s ability to create a vivid picture of the pre-globalization and pre-digital age of UN work in the 1970s when the UN presented an exciting and fundamentally different outlook on global affairs beyond national politics and ideological blocks. Second, his insights as an ‘early arrival’ in crisis countries like Afghanistan or Bosnia-Herzegovina before they were ‘discovered’ by a billion dollar aid industry. Third, he marvels at presenting a rare inside account of high-level, yet mundane and important coordination work in the UN system that goes far beyond after-work pub jokes about wasted meeting time and useless diplomatic phrasing in documents about humanitarian standards. Why was I selected? I think simply because I spoke fluent French, on which they tested me, and good Lao, which they took on trust, and knew the country well. I was in the right place at the right time (p.19). The ‘right time’ was 1973 and the place was UNHCR in Lao. These early historical insights into how the UN system learned dealing with refugees in new places are quite elucidating and they show a UN structure that deeply cares about unpopular issues such as refugees and that uses a range of diplomatic, political and practical tools to help Laotian refugees in Thailand or Vietnamese ‘boat people’ in the south-eastern part of Asia. Above all, Barber never romanticizes the UN as a ‘perfect’ organization, but in the early days of his career he comes across a unique cosmopolitan and in some ways truly ‘global’ set of colleagues at a time when this was not the norm and most organizations drew their staff from a very narrow pool of seemingly suitable candidates. Nothing in my career has given me more pleasure and excitement than my association with the efforts to rid poor countries if the anti-personnel landmines that lie in wait, ready to rip a leg from a passing child (p.84). Barber’s account from the early days of post-Soviet occupation Afghanistan is a key part of his memoir. It not only introduces UN and NGO de-mining efforts before they became part of probably one of the most successful global campaigns of the pre-digital age featuring Princess Diana, but also offers insights into continuous UN efforts, small victories and different paths of a country that has been at the core of the ‘war on terror’ for almost 15 years. I feel a great regret that this approach of encouraging the emergence of large, competent and viable national NGOs has not been followed in other sectors of activity, and that it did not even take hold in the field of mine action outside Afghanistan (p.97). His next, and last field assignment in early post-war Bosnia-Herzegovina in 1997 depicts a changed and changing international landscape with new NATO/military actors and a growing set of international administrative actors engaging in ‘state building’. At the height of his administrative power, Michael Barber moves to the UN headquarters at a historical juncture, perhaps even a ‘golden age’. With the first internally groomed Secretary General appointed and key personalities such as Sergio de Mello moving to senior leadership posts, humanitarian work, its policy and coordination, flourishes and Barber’s detailed account on how agencies cooperate, policies are discussed and a new (still predominantly male) leadership culture emerge offers important insights, even if the narrative at some points has to take a back seat over an emotion-free, almost administrative account about coordination bodies and guidelines. This part is also an important reminder that Barber’s work is shaped by experiences during times when female leadership was even less common than it is today in international politics and development organizations. His acknowledgements (pp.ix-x) include mostly male colleagues and friends-especially those who worked at the highest levels; and when Barber oversees the merger of two British NGOs in the early 1980s that were headed by female directors, the first chair of the new board and Barber’s deputy are men. The absence of powerful female actors during his work at UN headquarters is probably more noticeable in hindsight, but still an important point for future discussions. Most UN (de-mining) programme managers were also ex-military and did not have the skills to nurture the development of local NGOs in the countries where they were assigned. 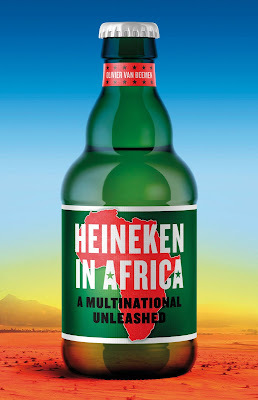 (…) this failure to develop genuine local capacity is symptomatic of the arrogant and patronizing approach adopted by far too many purveyors of humanitarian assistance (p.160). …set up as distinct entities, each with its own mandate and governance structures. They are all overseen by the same 193 governments, but by different representatives of those governments, each with their own agenda and priorities (p.188). Barber ends his account with two important overviews, one of ‘principles of effective coordination’ that come with an unusually large amount of acronyms and jargon, but are also a reminder of how important leadership, talking to everybody and speaking with one voice, coordination meetings and division of labor still are. Barber may have left active UN employment before the ‘digital revolution’, but this part raises some interesting issues about ‘offline’ communication and personal skills that may be overlooked in this day and age-there is no app for coordinating humanitarian aid! The final chapter outlines 7 contemporary challenges from brain drain to short tours, election madness, no substitute for political action, reform of the UN, power to the people and good intentions are not enough (p.207) which is an elegant way to engage with the here and now of discussions around the humanitarian system. All in all, I can recommend Barber’s book highly because of his historical view (many aid worker biographies start with the Sudan or Rwanda crises of the 1990s) and, more importantly, because of his unique insights into the field, or, more precisely different fields of UN office work and the ‘silent’, persistent work of guidelines and gentle leadership in the unique political setting of the key organization that has been representing 193 different voices. Barber, Martin: Blinded by Humanity. Inside the UN’s Humanitarian Operations.